Stock in Japan's two leading social game companies have taken a serious tumble following word of a government crackdown. Japanese social game companies Gree and DeNA agreed in April to impose limits upon the amount of money that young gamers can spend on their games each month. The caps were put into place to curb the out-of-control spending habits of kids who were blowing hundreds or thousands of dollars every month on games, presumably in hopes of preventing direct government action against the industry. Unfortunately for them and others, it wasn't enough to head off intervention. Japan's Consumer Affairs Agency announced today that "kompu gacha" ["complete gacha"], a central mechanic in just about every DeNA and Gree game, may actually be illegal. 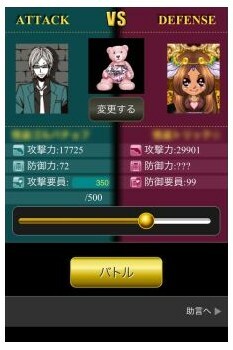 "Gacha" is basically a draw for a random virtual item, while "complete gacha" requires that players draw a specific set of gacha items in order to earn another, rarer or more powerful item. It's rather like having to win the lottery four or five times in a row to claim the prize, and it's had the effect of driving players to blow huge amounts of money on extra gacha chances. Things have apparently gotten bad enough that the Japanese government is planning to take a novel but rather extreme approach to bringing them under control. Instead of relying on spending limits, the Consumer Affairs Agency is going to ask social gaming companies to stop using the mechanic entirely, a change which could have a serious impact on revenues. The situation is serious enough, and the news is bad enough, that both Gree and DeNA saw their share value tumble by more than 20 percent following the announcement. Other big-name companies felt the crunch too: Konami's stock dropped by 18 percent, Namco Bandai fell 9.5 percent and Capcom was down 6.6 percent. And that may not be the end of the pain. "I wouldn't be surprised to see the government crack down on gacha once again [for example by forcing game providers to display the probability of getting certain cards], or push the industry to get the real-money trading phenomenon of virtual items under control," Dr. Serkan Toto, an expert on the Japanese social gaming market, told GamesIndustry. Neither Gree nor DeNA have commented.